Do your friends often ask you for advice? Are you the kind of person who loves to share stories about your life on social media? Do you make product recommendations just because you love the brand so much? 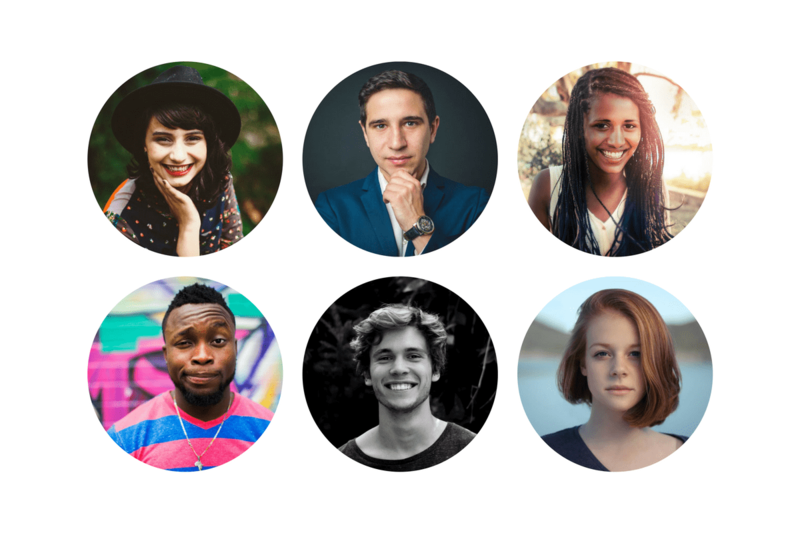 In our own circles, many of us are already practicing the skills of an online influencer. When people ask "How can I become an influencer?" what most of them are really asking is, "How can I become a paid influencer?". It takes time and dedication to see results in this industry. Paid online influencers today have been working for years to build their content library and grow their audience. Bloggers and social media ambassadors often work full-time jobs, have families and grow their brand in their spare time. If this sounds like the kind of work and dedication you want to put in to be a paid influencer continue reading. This step is where many budding bloggers fail, because there are no instant signs that you're building a brand that isn't going to attract an audience. Finding a niche for your brand is vital to your success. There's hundreds of thousands of influencers in the world. Instagram has over 1 billion monthly users! Even if you are meticulous with your content and social media strategy it's still not enough to stand out from the crowd. Becoming a paid blogger requires long-term commitment. If you pick a topic that doesn't interest you then you won't stick with it. Let's say you want to become a fashion blogger but you're also budget conscious. Instead of trying to reach the already saturated fashion blogger audience, why not focus on "how to be fashionable on a low budget". Better yet, narrow down further and become a blogger who focuses on affordable workplace fashion. The more niche your blog becomes, the smaller and more targeted your audience. This is good! You will become an authority on this topic and stand out from the crowd much easier than if you were just writing a general fashion blog. Just don't get too specific because you still want to find a large enough audience to make a measurable impact. Stay relevant, but have fun! Picking a niche like "affordable workplace fashion" doesn't mean you're pigeonholed into only creating content fitting this niche. It should be the topic you focus on above all other topics, because you want your audience to see you as an authority on the topic. But you can still write about other fashion industry trends, offer your advice and showcase your style outside workplace fashion. If you intend to become a paid blogger you need to understand your audience and how to engage them. There's a few ways you can do this! When you conduct a search on Google and scroll to the bottom of the results page you'll see a group of keywords. In the example below I searched for "workplace fashion advice". These keywords are the most popular keywords being researched, related to my search. This is great for content ideas but also helpful in trying to get into your audiences collective mind. Conduct your own test and click on one of the related search results. Dig deep into the kinds of articles that are ranked on the first page. These are the articles your target audience is reading. Do you think they're answering their questions? Could you do better? We'll get deeper into SEO in the content strategy section of this article. Chances are that you're starting this blog because you've been inspired by other bloggers and social media ambassadors. It's smart to take notes on how they have been successful. Acorn publishes an ongoing Influencer Spotlight series where we interview our most successful influencers. We always ask questions about how got started, developed their brand and grew their audience. Marketers conduct "buyer persona interviews" to better understand their customers. Buyer personas are fictional, generalized representations of our ideal customers. They're built through a series of interview with real customers and external people we consider to be our “ideal target customer”. In the interviews you will ask your target audience about their goals, challenges, needs and motivations. You will learn what kind of content you need to publish to be helpful to them and to engage them. Focus your energy on the channels where your target audience spends the most time. There's no sense in publishing content on LinkedIn if your audience spends most of their time on Instagram and Pinterest. 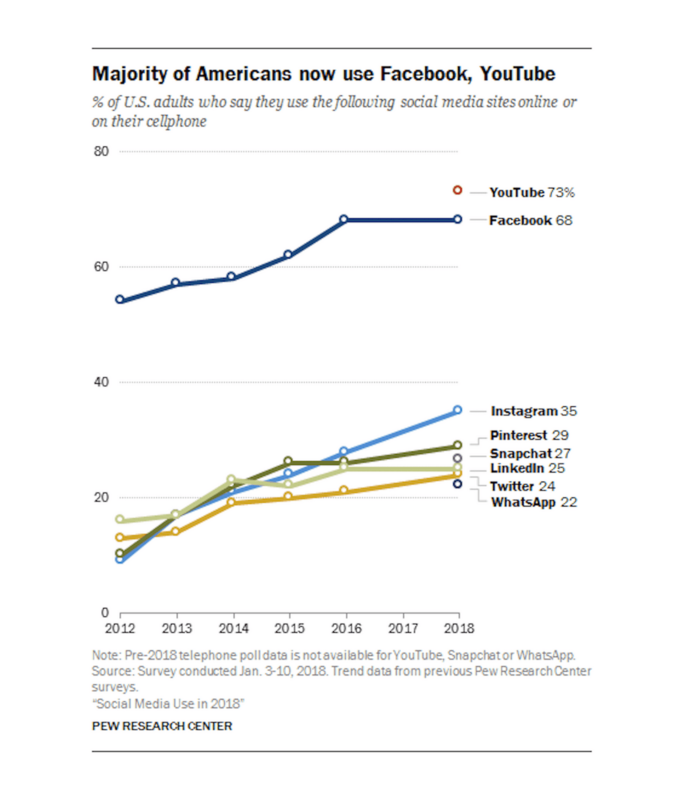 Pew Research publishes regular studies on social media use within the United States and across the world. While Instagram may have reached 1 billion users, Facebook and YouTube are still dominating the social media landscape. Again, do a little research on where your competitors are publishing their content and pay attention to their results. First figure out what kind of feel you want your blog to have - professional, casual, personal. This will help you choose the format where you'll share your content. How much time do you have to devote to your blog? Try to be realistic when you answer this question. It's exciting to start a blog and let your imagination get carried away with dreams of fame and fortune. But it's going to take time. Most influencers have full-time jobs, side-gigs, parenting responsibilities and other life commitments that take them away from blogging. When you create your content strategy take your responsibilities into account. If you want people to find your website and blog on a search engine you'll need to know the basics of Search Engine Optimization. When you use Google, you type in a phrase, question or keyword. Google then spits out results based on a variety of factors but essentially they want to give you the most relevant results for your search. It's free to use but you'll need to sign up for a Google Adwords account. They make you put a credit card in, but when you create a campaign, immediately pause it and you will have free access to the Google Keyword Planning tool! Consistency is what sets the paid bloggers apart from the infrequent bloggers. Almost any influencer network you join including Acorn will require that you be publishing consistently, with a long historical backlog of engaging content. Freeform blogging might work for a few unicorns but most influencers work with a content blogging calendar. This can take many forms but we love using this one from CoSchedule. Once you're churning out content on a regular basis you need to be equally focused on growing an audience. 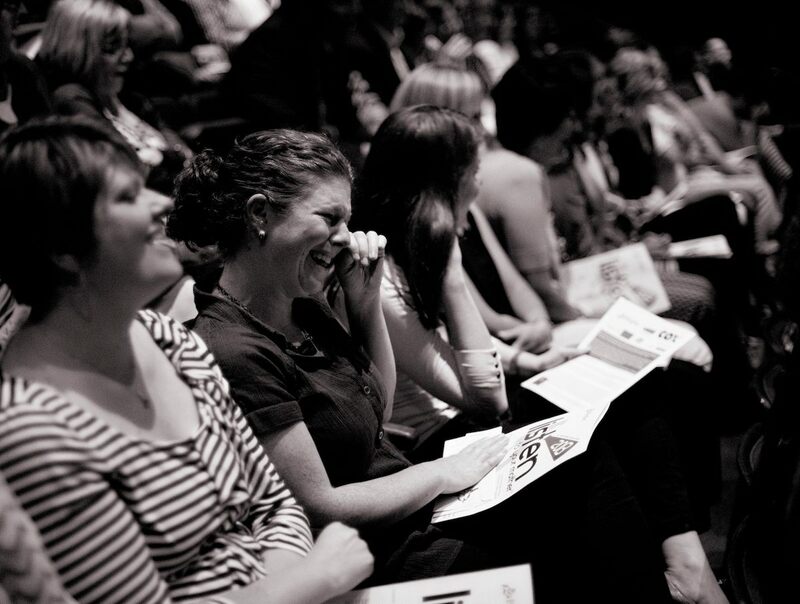 When you have an audience you must always be engaging with them! Even celebrity status influencers like Chrissy Teigen respond to follower comments on their Instagram and Twitter. Setting up a comment section on your blog is a great idea - just make sure you're always monitoring it for spam. The blogger community is vast and diverse, with countless sites to help you along your journey. Influencer conferences are a fantastic way to brush up on your skills, hear superstar influencers speak and meet people within your own industry. Here is a huge list of social media and influencer conferences published by Social Media Examiner. These days influencers are expected to have professional level photography and marketing skills. Even if you're handy with a camera it's a good idea freshen up your skills with a course or YouTube video series. Marketing, most especially, is constantly evolving. If you think you have a handle on SEO think again - there's always something new to learn. Here it is, the biggest caveat to becoming a paid online influencer! These days it's easy to track the growth of your audience on websites and social media. Analytics play a huge role in being selected for campaigns because it's proof of the value you can bring as a blogger. Content quality, audience size and consistency are key but unless your audience actually engages with your content it's no help to the brand soliciting your services as an influencer. You shouldn't expect to see dramatic increases in your audience. Most online influencers gradually grow their metrics over time. Install Google Analytics on your website / blog. Social media will give you insights. 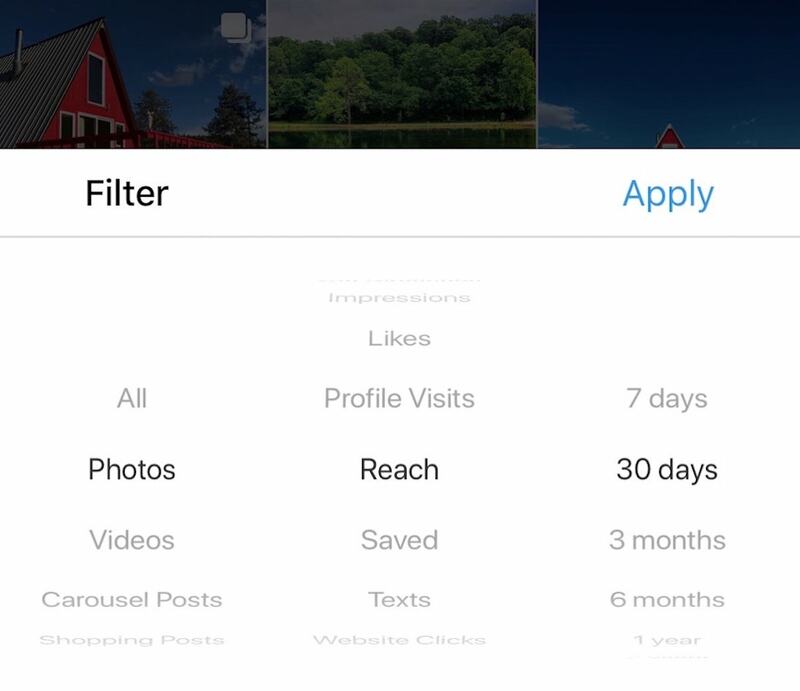 Pinterest & Instagram ask you to set your account as a business profile before they will show you detailed analytics. Want to dig deep into what these metrics look like on the influencer agency side? We wrote an article that explains how each of these are measured. 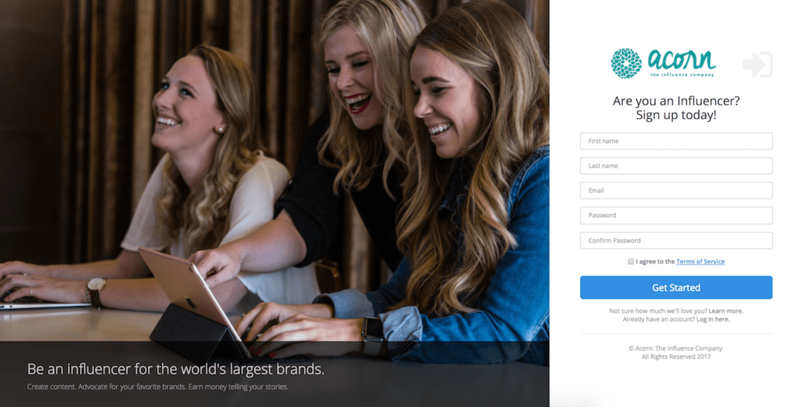 The easiest and simplest way to start earning paid opportunities is to join an influencer network like Acorn Influence. As a member of an influencer network you can rely on us to find relevant opportunities for you and manage the campaign logistics. We take the time to understand the brand/agency's needs and share the requirements with you before kickoff. Unlike other agencies, Acorn has an open influencer network, which means you can sign up today. Our Pitchback system ensures that when opportunities arise they're relevant to your brand and it's up to your discretion to apply for to work on the campaign. We preach this every day - only accepting opportunities that fit with your brand! We know it's tempting to apply for every influencer marketing opportunity that comes your way. In our experience, it's better for the long-term health of your brand to be selective. It's not a good fit if the campaign requirements don't fit seamlessly with the content you publish organically. 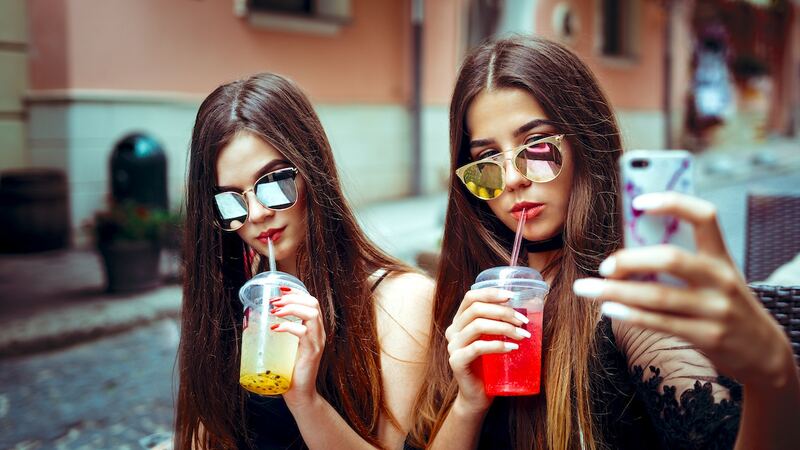 Brands want to work with influencers who have a strong connection to their audience. Focus on creating relevant and engaging content for you audience and opportunities will come your way! The most successful, and happy, bloggers continue to publish organic, unpaid content. Nobody wants to see #ad on all of your posts. The campaigns you work on should genuinely align with your goals, brand and above all, your audience.